One of the most favorable part of your body to ink these beautiful tattoos is your calf because of the immense amount of space available in it to carry out this work of creativity. If you are fond of abstract designs or patterns then you may create a simple flower motif or geometrical shapes. Taking inspiration from the Polynesian styles, you might go for animal themes like turtles, lizards and fish hooks. A sun design made at the centre would be highly auspicious as this red ball of fire is a symbol of courage, passion, vitality, passion and knowledge. 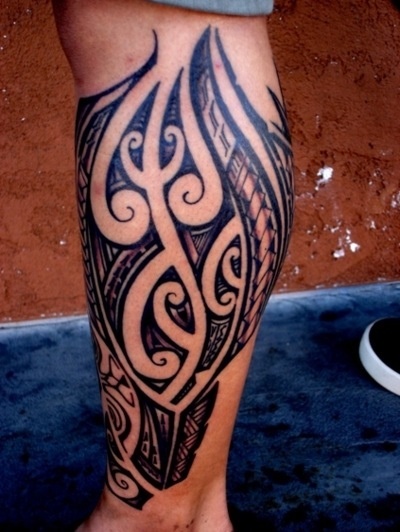 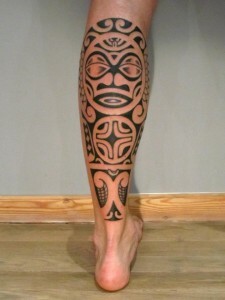 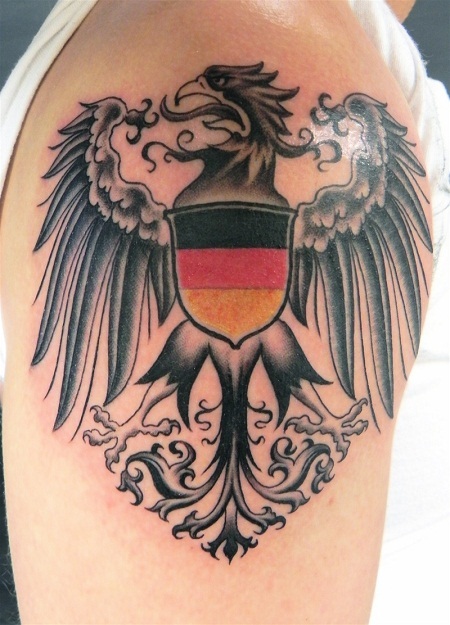 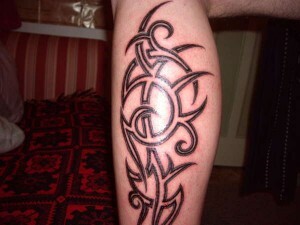 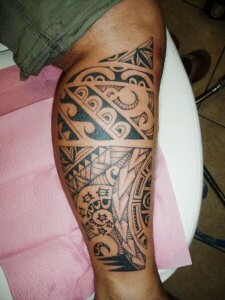 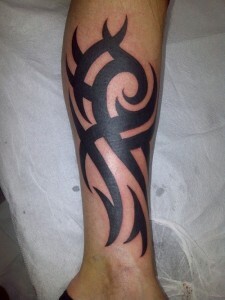 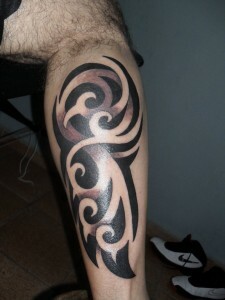 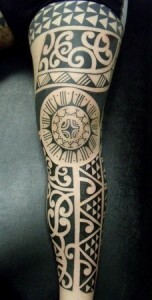 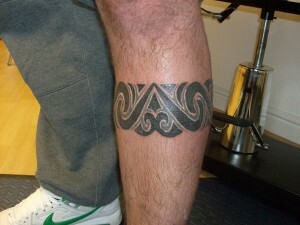 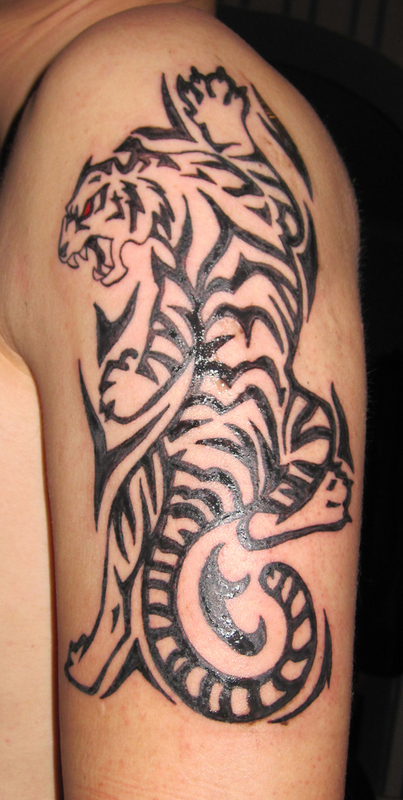 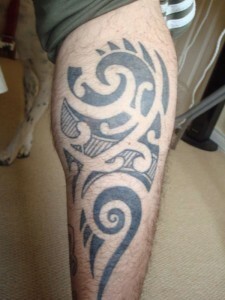 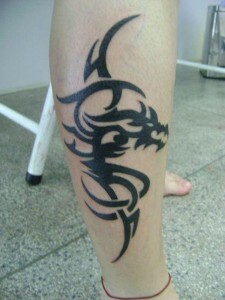 This black tattoo with a wavy design made only on a part of the calf is simply fascinating. 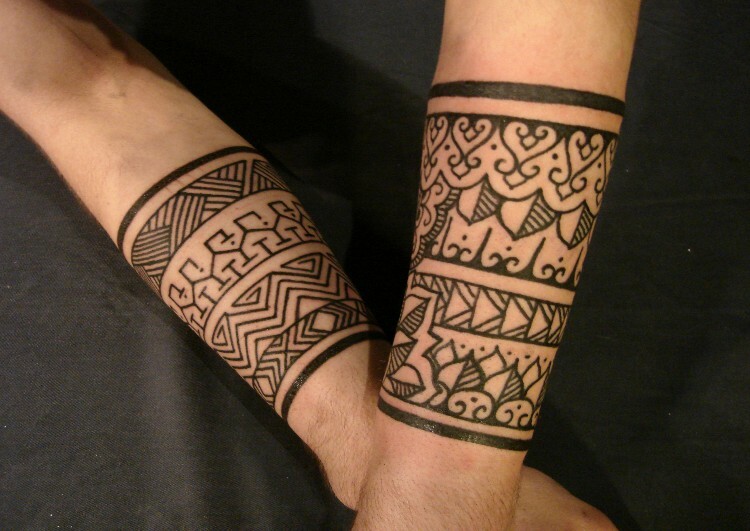 Celtic designs having complex interwoven designs having spirals, knots, mazes or any other complicated patterns may be opted for. 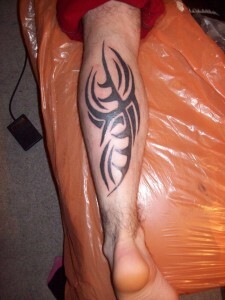 Women may go for an elegant butterfly or fairy tattoo to display their feminine charm. 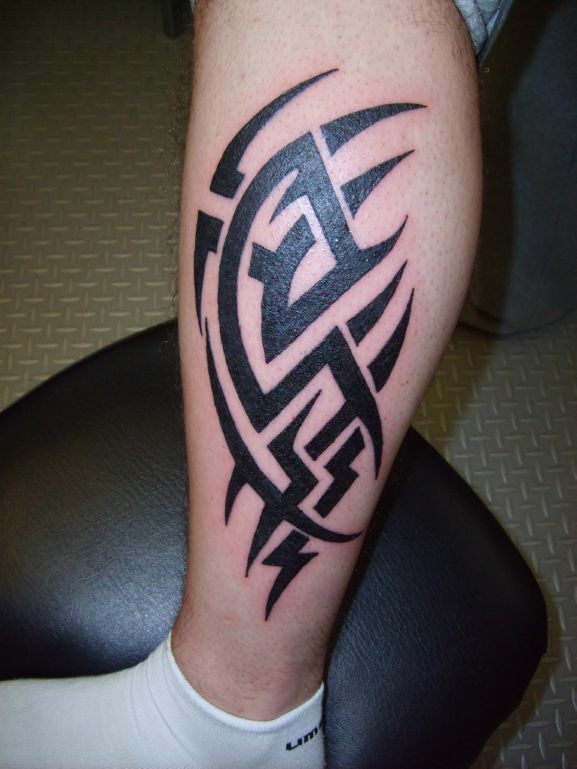 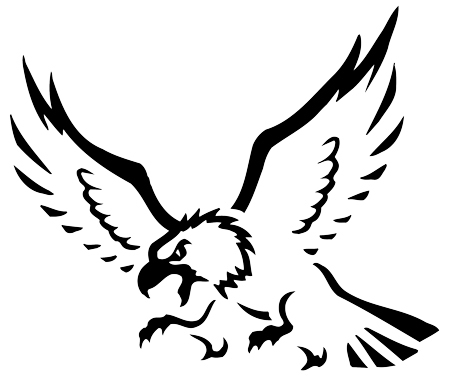 Another amazing idea would be to flaunt your name on your calf or even any inspiring quote or idea that is close to your heart.